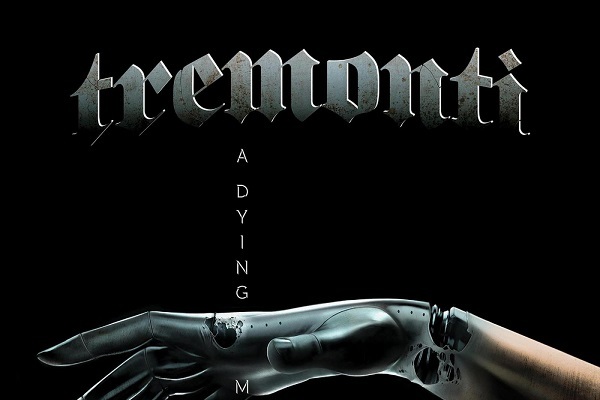 The new Tremonti album, “A Dying Machine,” is a winner, both in concept and instrumentation. As for the concept, Mark Tremonti and company tell an intricate sci-fi story about humans and fabricated “vessels” living in a world in which they co-exist, and the story unfolds with drama and excitement. For instrumentation, it’s no surprise that Mark and his band mates – Eric Friedman and Garrett Whitlock – are at the top of their game, with well-written songs and tight instrumentals from start to finish. What’s interesting is that Mark didn’t really expect to ever craft a concept record. “It was never something on my radar, whatsoever,” Mark told Audio Ink Radio. “I never really dug into concept records too much, other than a couple in my collection. It wasn’t something I thought about doing.” The listener would never be able to tell, though, from the way the sci-fi story magically unfolds. To appreciate the fill story, the listener should really listen to “A Dying Machine” from front to back, in order. “Take You with Me” is a dramatic tale about two vessels, best understood in the context of the album. The album’s title track is a six-minute long anthem with a hard-hitting-yet-melodic take on Tremonti’s heavy guitars and pummeling rhythms. “As the Silence Becomes Me” is one of the most melodic songs on the album, with warm guitar chords and Mark’s soaring vocals.